This time 5 years ago I was in Milan with my wonderfully talented friend Robyn Lea, researching the food element for her stunning book Milan: Discovering Food, Fashion and Family in a Private City. 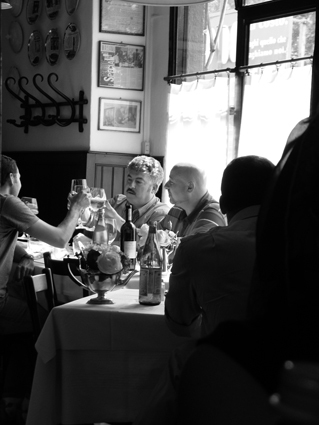 It was an unforgettable experience; being introduced to this complex and sophisticated urban world by an insider, we went from one restaurant to another, met icons of the Milanese cultural scene and I was invited into kitchens of great chefs, eagerly scribbling down the recipes they shared with us. Milan in September had a warm Autumnal glow about it. On arrival I emerged from the metro into the Piazza del Duomo at dusk, the cathedral a glittering gothic masterpiece against an apricot velvet sky. Just two weeks later the first signs of winter had descended, which felt more like I had imagined Milan; the famous fog and streets full of Milanese in beautiful winter coats. 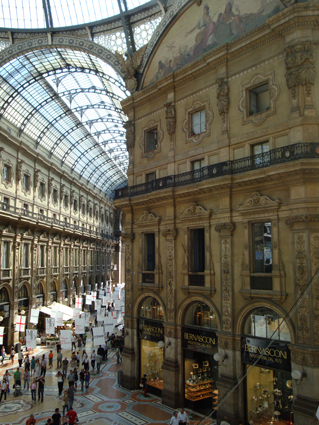 Eating in Milan always conjures up images of cold weather food; substantial dishes of risotto, polenta and slow cooked meats, but it is probably Autumn, the season of chestnuts, pumpkin and the first porcini, of burnished browns and gold, that the city’s chefs love most. 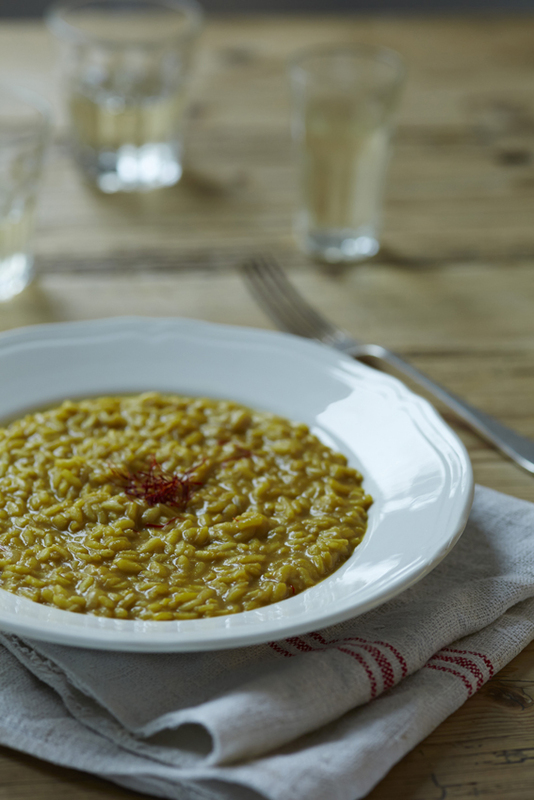 Gold is the colour of Risotto alla Milanese, the aromatic saffron risotto on every menu, as a primo or as noble companion to an Osso Buco. At the historic Ristorante Savini in the elegant Galleria Vittorio Emanuele, the supple golden risotto was finished with fine shavings of bone marrow in an ode to the classic pairing. Like all Italian regions, the culinary traditions of Lombardia are based on seasonal and local produce, in this case that from vast Po valley and the sub alpine valleys to the north. Rich creamy Gorgonzola cheese, which has its birthplace in the town just outside Milan, features with pasta and polenta, restorative fare for the cooler months. Antica Trattoria della Pesa, in the same family since the 1880’s and with a menu faithful to the Meneghina tradition, serves Gnocchi alla Gorgonzola of soft cloudlike potato gnocchi nestling in a velvety sauce. Making fresh gnocchi is easier to make it sounds, and making them fresh to use immediately allows the percentage of flour to be much lower, resulting in lighter fluffier gnocchi. The key item is an Italian potato press, through which you mash the potatoes after they have been cooked whole with their skins on. In September the first fresh Porcini mushrooms start to appear at the market. They make their way into fresh pasta dishes, risottos and accompany both meat and fish dishes. Veal Scallopine cooked in wine with abundant fresh porcini and served with a dollop of potato pureé was another of the dishes we loved at Antica Trattoria della Pesa. 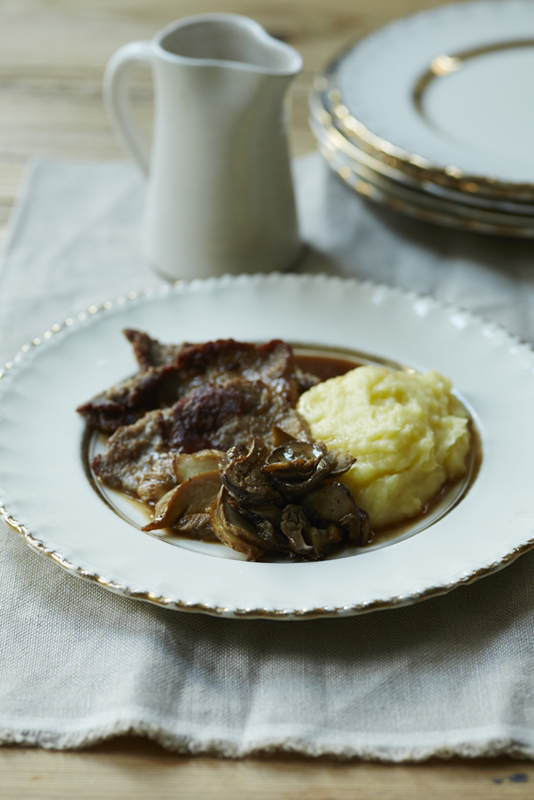 This dish can also be made using ordinary field mushrooms and dried porcini although the silky texture of fresh porcini is hard to match. Almost the first thing I noticed walking into Antica Trattoria della Pesa, apart from the beautiful antique rooms with their original tiled floors and wood panelled walls, was a freshly baked Tarte Tatin sitting on the sideboard. 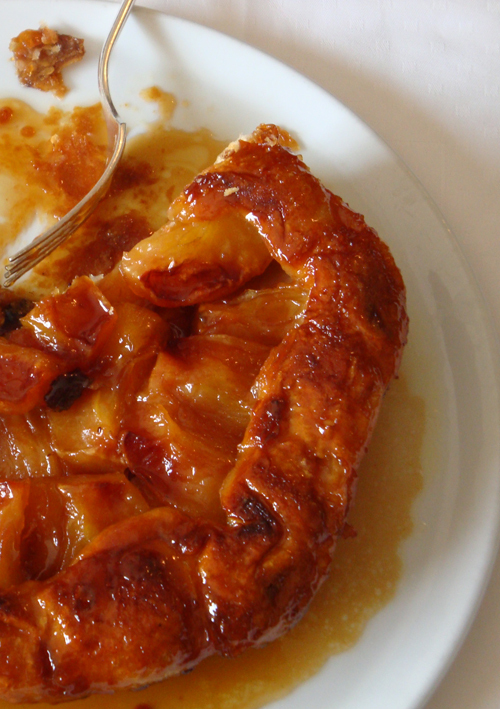 The Tarte Tatin is undeniably French, but in Milan it is an established feature on traditional menus, and the one served at this classic Milanese restaurant is a superb execution of the Tatin sisters’ accidental creation. All three of these restaurants, which were among my favorites in Milan, are featured in the tiny guide Locali Storici D’Italia filled with some 200 odd historic restaurants, caffe’s and small hotels around Italy. Finely dice the onion and fry gently in half the butter in a large heavy-based saucepan. In another saucepan have the stock gently simmering. Once the onions have softened, but not browned, add the rice, mixing well so that all of the rice is lightly toasted. Add white wine to lightly deglaze the pan, let it evaporate and then start gradually adding the stock, ladle by ladle, stirring constantly so that the rice cooks evenly and doesn’t stick to the bottom of the pan. Towards the end of the cooking process add the saffron, stirring well. Once all the stock has been used the rice should be cooked al dente but the mixture still quite ‘wet’. Add the rest of the butter and stir well so that the liquid and butter amalgamate well giving the risotto a lovely creamy consistency. Tarte Tatin Serves 8 7 golden delicious apples Sheet of puff pastry (homemade or store bought), enough to cover a large 20cm frypan 350 grams sugar 120 grams butter The Tarte Tatin requires and good cast iron or copper frypan that can be put in the oven. Peel, halve and core apples and place them (core side up) in the frypan. Cover with sugar and cubed butter and place in a 160 degree celcius oven for half and hour, or long enough for the apples to start to cook. Remove from the oven and allow to cool. Turn the apples over so that they are now core side down, and arrange in a nice circular pattern. Place the sheet of pastry (cut 2 or 3 cm’s bigger than pan) over the top of the frypan and carefully tuck the edges in under the apples. This will give the tart a lovely border. Give the pastry a quick egg wash and place in a 180 degree celcius oven for about half an hour or until pastry has browned well. When it is removed from the oven it should be placed rapidly over a good flame to further caramelise the bottom (which will be the top) of the tart. This is the tricky part, watch the liquid in the tart and remove from heat when it starts to turn a rich caramelly color. The tart needs to be turned out almost immediately, let it rest just enough to catch its breath after that intense caramelizing process. To turn the tart out, place a piece of baking paper and a plate or saucepan lid over the frypan, and invert the pan so that the tart falls out, now face up. From here it can be gently slid on to a serving plate. Serve slightly warm or at room temperature with thick cream.